A major figure in both the Abstract Expressionist and American Figurative Expressionist movements of the 1940s and 1950s, Elaine de Kooning was a prominent American painter who can easily be classified as one of the most important female artists of the 20th century. 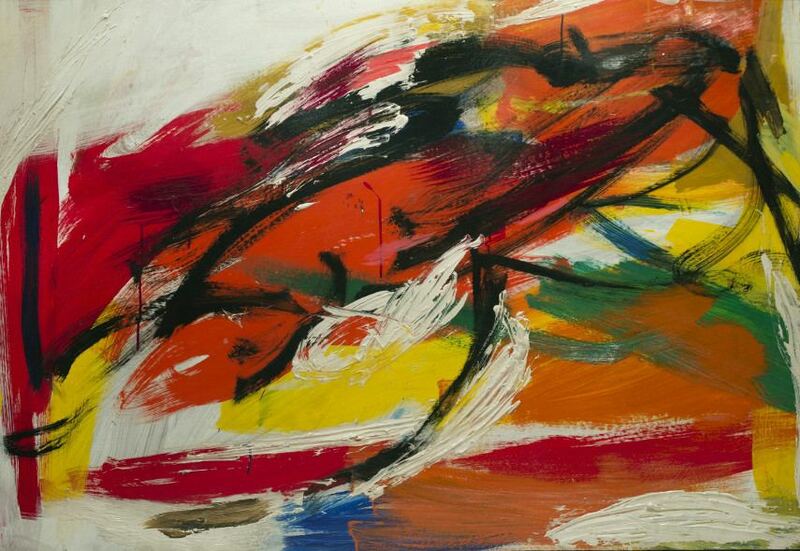 She was a prolific and versatile painter, writer and teacher whose paintings featured loose and thick brushstrokes made in bold hues and executed in an energetic, improvisational style. 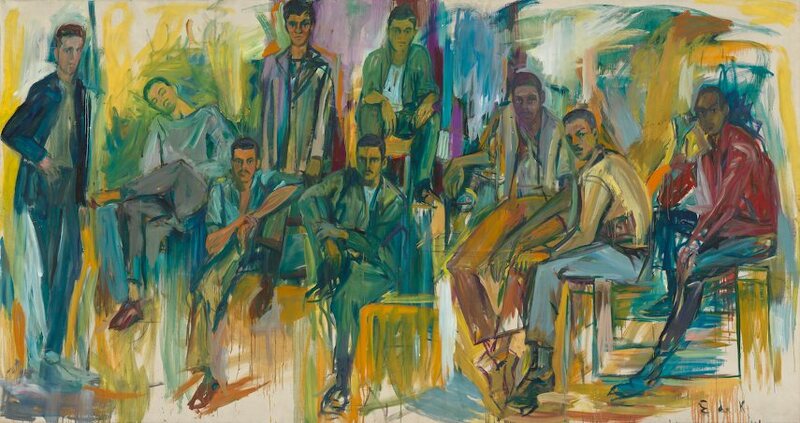 Although Elaine de Kooning was closely associated with the New York School and the famed Abstract Expressionism current, she worked hard at developing a singular, personal style and painted in a wide array of modes ranging from realism to abstraction. Her original name was Elaine Marie Fried but she changed it after she married the legendary Willem de Kooning and took on his own family name. Although she often claimed that she was born in 1920, Elaine Marie Fried was actually born in the year of 1918, in the Flatbush neighborhood of New York City. The eldest of four children, her parents were Mary Ellen O’Brien, an Irish Catholic, and Charles Frank Fried, a Protestant of Jewish descent. Elaine’s mother started taking her eldest child to museums at the age of five, teaching her to draw what she saw along the way. Mary Ellen O’Brien did have some failings as a mother, but these early events shaped her daughter’s future career. By the time she was in grade school, Elaine began drawing and selling portraits of children from her grade. After graduating from high school, Elaine Marie Fried briefly attended Hunter College in New York City where she befriended a group of abstract and Social Realist painters. In 1938, her teacher introduced her to Willem de Kooning at a Manhattan breakfast cafeteria – she was 20 and he was 34 years of age at the time. After that, he began to instruct her in drawing and painting, but their relationship was marked by his harsh criticism of her work – Willem even destroyed many of her drawings while they were dating. The two married in 1943. After meeting Willem, Elaine suddenly found herself within the circle of the most prominent national artists in New York, spending time with the likes of Jackson Pollock, Jimmy Rosati, Giorgio Spavento, Milton Resnick, Pat Passlof, Earl Kerkam, Ludwig Sander, Angelo Ippolito, Franz Kline, Clyfford Still and Hans Hofmann. She often exhibited her own work alongside her husband’s, very aware that it was usually overshadowed by Willem’s fame. 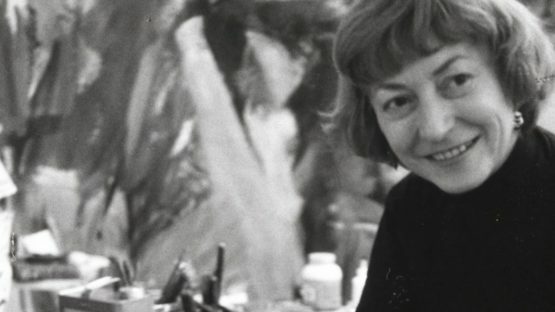 Although women were often marginalized in the Abstract Expressionist movement, Elaine de Kooning never attempted to make some distance between herself and these painters. However, she did chose to sign her artworks with her initials rather than her full name to avoid labeling her art as feminine. She made both abstract and figurative paintings and drawings of still life, cityscapes and portraits – one of her most notable portraits was the one of the American president John Kennedy, probably the most famous abstract portrait of a Kennedy ever made. 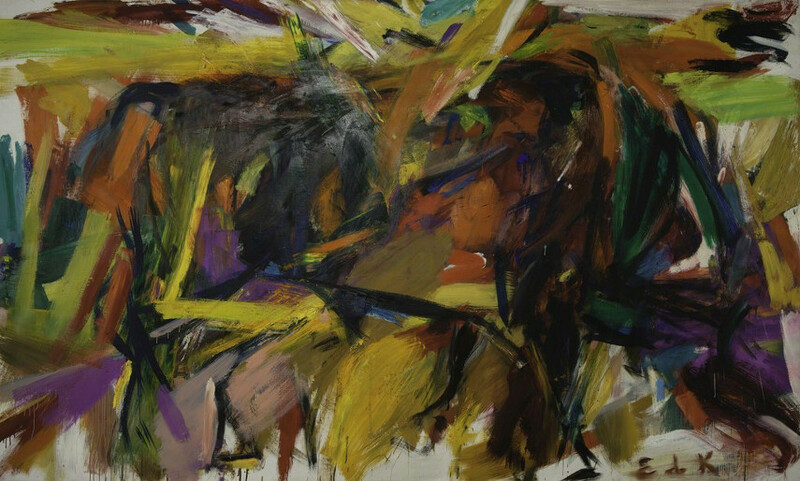 Elaine de Kooning fused abstraction with mythology, primitive imagery and realism, treating her art as an event first and only secondarily as an image, more as a verb and less as a noun. She began working at the magazine Artnews in 1948 and wrote articles about major figures in the art world. After writing about one hundred articles on various topics, she became an art critic and was the first notable American artist in the 1950s to take on this role. The marriage between Elaine and Willem was full of affairs as both of them desired to have an open relationship. Additionally, both of them struggled with alcoholism and that eventually led to their separation in 1957. Elaine remained in New York, struggling with poverty, and Willem moved to Long Island and dealt with depression. They both continued painting. She took on a series of short-term teaching job to support herself – she even spent time at Black Mountain College where she designed a stage set for Merce Cunningham and John Cage. Although separated for nearly twenty years, Elaine and Willem never divorced and ultimately reunited in 1976 when the artist wanted to take care of her sick husband. Elaine de Kooning died on the 1st of February in 1989, in Southampton, New York, a year after having a lung removed due to cancer. Sadly, she did not receive real recognition for her own achievement until a few years before she died. Although it often seems as if Elaine Marie Fried is primarily known for her turbulent marriage with one of the greatest 20th-century modern painters, it’s hard to overlook all of her contributions to the development of contemporary art. 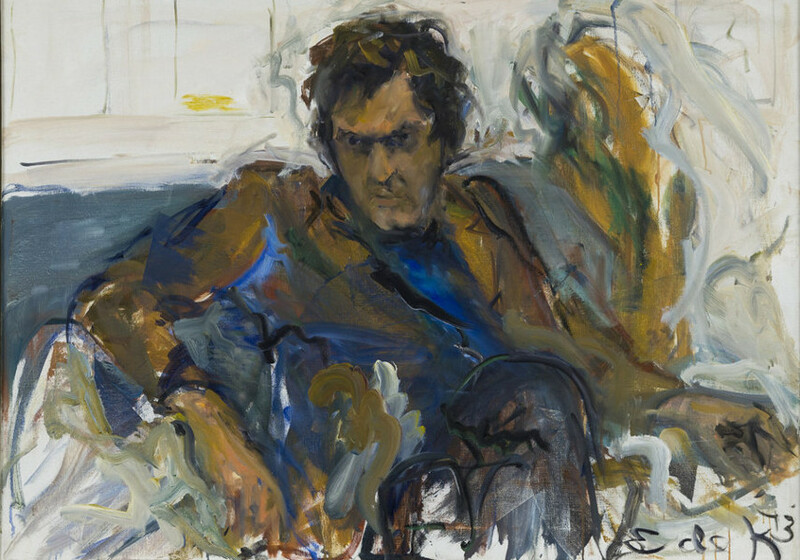 Her borderline stubborn rejection of dedicating herself to any one and only style combined with the way she treated the painterly pieces as events easily secure Elaine de Kooning’s place within any list of the great modern female artists. Ultimately, Elaine’s artistic range, vast knowledge of media and sheer influence on fellow artists was undeniable and it made it pretty hard for her career to stay completely overshadowed by that of Willem de Kooning. Nowadays, she is widely accepted as a separate artist who not only worked on her own style independent from her husband’s work but also massively contributed to the development of Willem’s concepts.